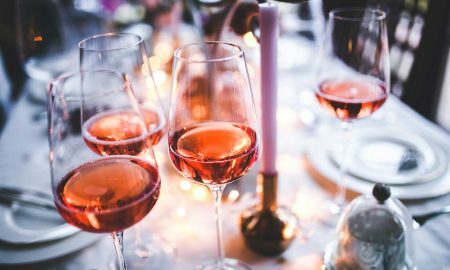 In America, Thanksgiving lends itself to wine consumption better than any other holiday out there. Sure, the smorgasbord at the table presents some challenging pairings, but let’s not get too worked up. It’s a Thursday and you are not working. Hopefully, you are enjoying your company and hopefully, you are spending the night and don’t need to drive. 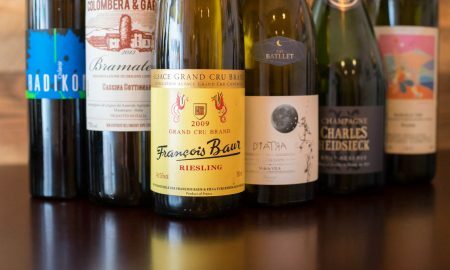 Isn’t this the perfect time to experiment and open some Thanksgiving wines that are a little more daring while the turkey roasts? The following 11 wines are ones I’ve tasted recently and been meaning to write about. No, I have not given all of them the turkey test drive (only the last two on the list). But I don’t need to. We’re not worrying about food pairings this year. 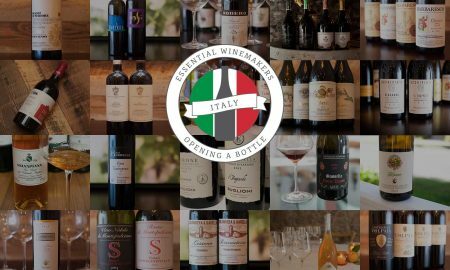 These are all wines you can enjoy with noshes before the meal, and then take a second glass to the table and consume with dinner. Or save for leftover night. 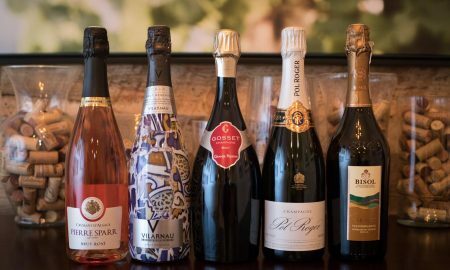 Uncork and be jolly, because every one of these wines is fun. 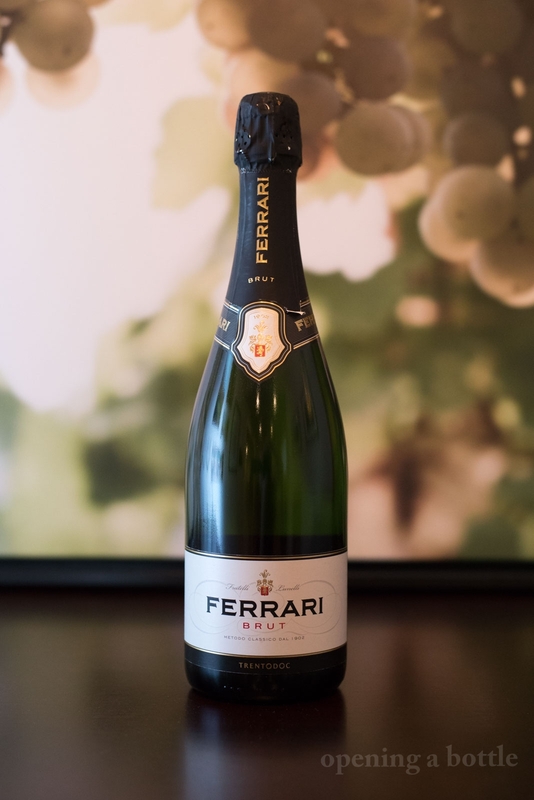 Let’s start with this Blanc de Blanc sparkling wine from Italy’s highly esteemed Trento house, Ferrari. It would be hard to imagine a more by-the-book traditional-method sparkler than this one, but you know what? Sometimes, that’s totally fine. Enjoy the conversation, sip-sip-sip and don’t think about it. Offering aromas that conjure similarities to apples, almonds and brioche, this wine does not stray too far from the winning formula. I will admit that this wine is not as thrilling as some Champagne we recently had, but I’m listing it because its Thanksgiving and you need a few bottles of easy-to-find wine sometimes. At $20, this high-quality sparkling wine is a superb buy. Next year, I resolve to spend more time reviewing Spanish wines. You’ll have to forgive me for being so focused on Italy this year, but that’s what I’ve been studying and its yielded some compelling discoveries. If these studies have forced me to neglect an area of coverage more than most, its poor Spain, especially its treasure trove of white wines. 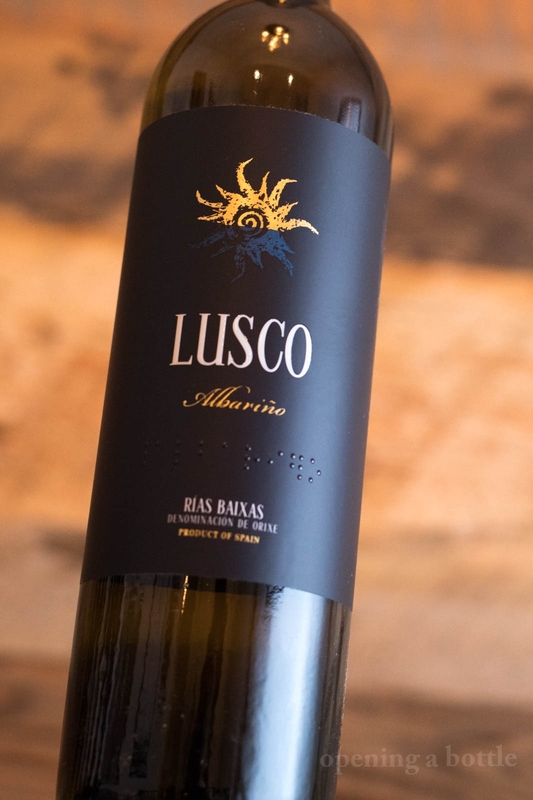 So consider this the start of my mea culpa: Find this Albariño by Pazos de Lusco and buy it. It is a reminder of how magical — and affordable — Spanish white wines can be. This textural, playful wine presented aromas recalling orange stone fruit, hay, white flowers and the sensation of saltiness on the finish. As the turkey roasts this year, consider this wine as your kitchen snitchin’ accomplice. I may be fighting a losing battle with my friends and family when it comes to sweeter wines, but I will not surrender! With certain grapes, a little residual sugar can go a long way toward making the wine more complete and compelling. Take — for instance — Gewurztraminer. 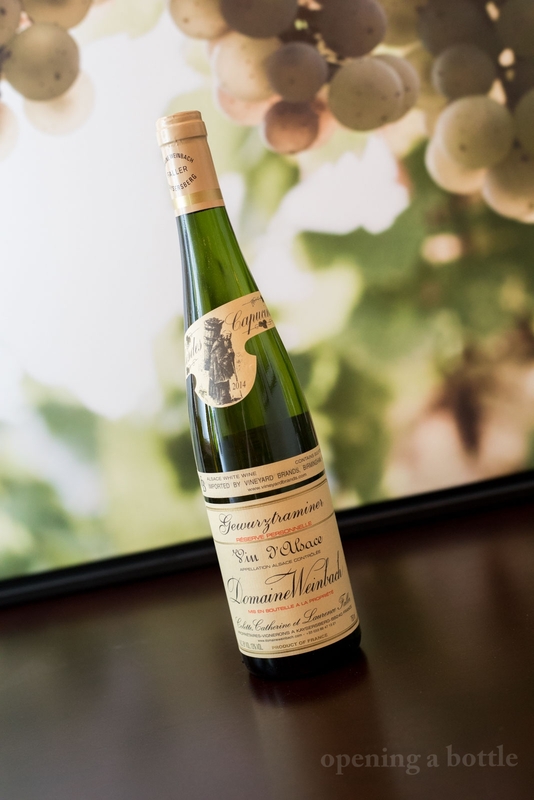 This gorgeous Gewurz comes from the acclaimed biodynamic estate of Domaine Weinbach in the Alsatian town of Kaysersberg. The 15.5 g/L of residual sugar give the wine a delicate sweetness which is cut by a nice layer of acidity. The result? A whispery finish that is reminiscent of roses, lychee and honey. Would it work at the Thanksgiving table? Perhaps not. But with pie afterward? Yes. Yes, I think it would. If you can find this wine from Didier Gerbelle, I applaud your efforts. 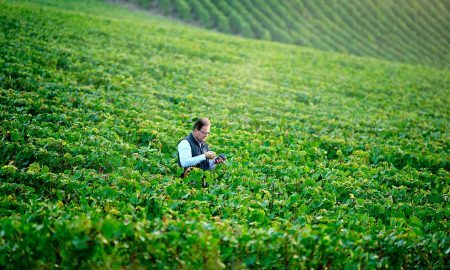 Valle d’Aosta’s wines are always worth the extra effort to track down, and from my tasting experience, Didier Gerbelle is the one of the best. These wines are small in quantity, but long on quality. 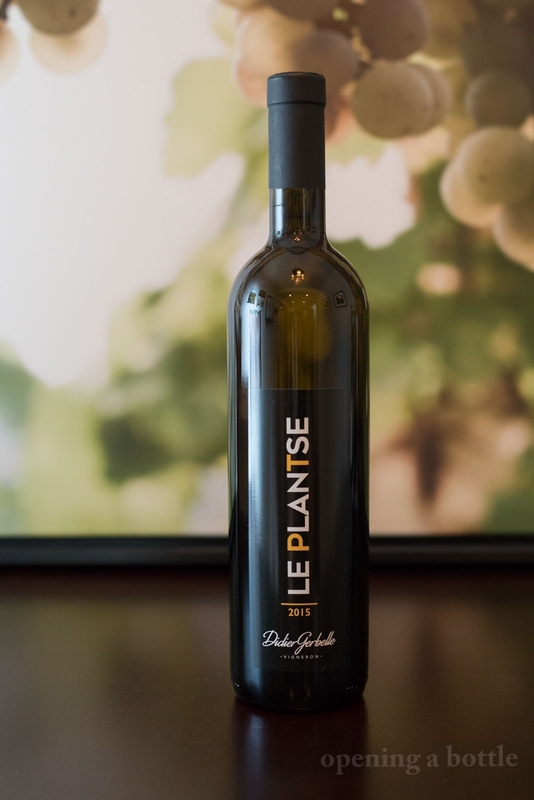 His “Le Plantse” Pinot Grigio will defy your expectations. The frame of reference here is decidedly more French than Italian: think of a dry Pinot Gris from Alsace married with a Premier Cru Chablis in terms of structure. The aromas are bright and intense, recalling heaps of yellow apple, honeysuckle, almonds and a cut of golden pear skin. Soft and luscious with a resoundingly tart finish that is long and juicy, this is a wine that will make you salivate. 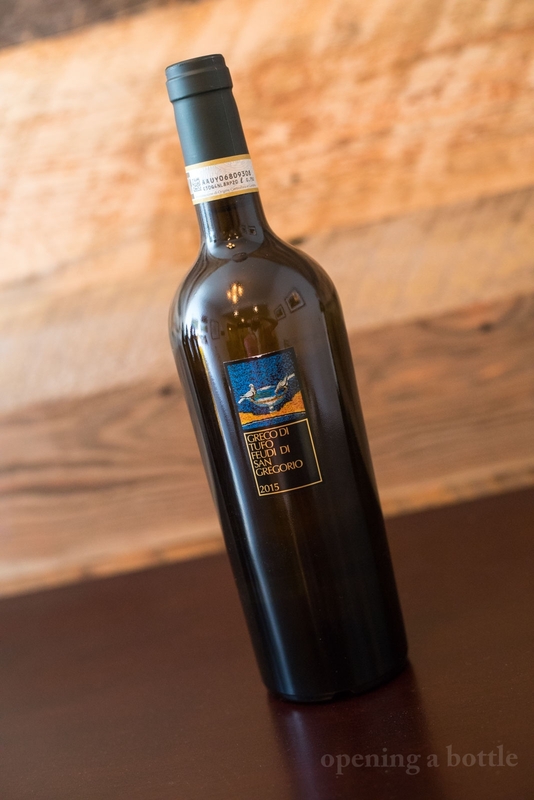 Feudi di San Gregorio is among Campagna’s most prominent producers, and this rendition of Greco di Tufo is one of 2018’s most surprising wines for me. For one, the level of depth and fullness in this wine seems more in line with a red wine. The aromas are slow in arriving — just a faint bit of pear skin and grapefruit — but on the palate it is texturally rich, vivid and layered. The fruit tones are darker and more mysterious than most Italian whites, with hints reminiscent of chamomile and hibiscus on the finish. Easily one of the most delicious white wines I’ve sampled this year. 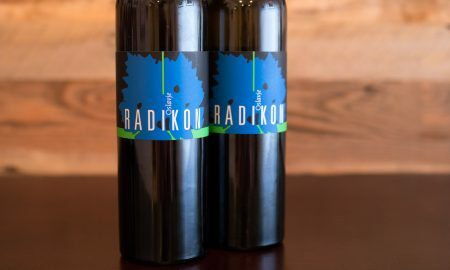 This Thanksgiving, I would love nothing more than to have this wine from Radikon back for another go. We opened it a couple of week’s ago at a family gathering and its complex, semi-oxidized notes were supremely satisfying. We’ll be opening other things for turkey day, but I cannot help but wonder how it would have enhanced a slab of dark meat with stuffing. A blend of Chardonnay and Friulano, this wine sees three weeks of skin-maceration. The process extracts additional tannins, pigment and polyphenols to create a concentrated, orange-colored wine. The nose alone — a heavenly blast that simultaneously conjured thoughts of baked orange peel, rose, lemon oil, leather and sherry — makes me want an encore performance. Alto Piemonte has so much going for it from a wine standpoint. 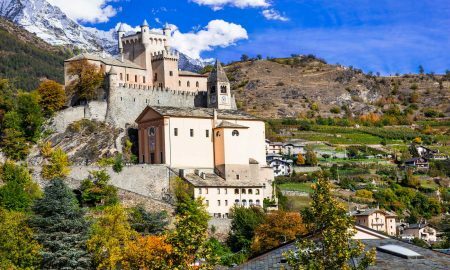 This chain of appellations nestled against the foothills of the Alps has laid claim to some of Nebbiolo’s most interesting terroir — specifically, the volcanic-rich soils of Gattinara, Lessona, Boca and Bramaterra. 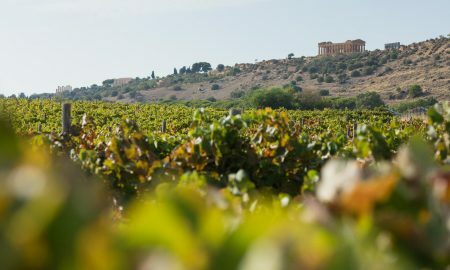 Colombera & Garella has proven this point with a collection of delicious, compelling Nebbiolo-based wines, but the Vispavola is a complete outlier. Here, they’re proving that the “minor blending partner” of Vespolina can steal the show, too. The wine has a slight fizz, a lot of dark-berry tones, and it drinks a little bit like a trattoria wine you’d get in a carafe (only made with the obsessive care of a star young oenologist, not the family nonno). Pour it with a leftover turkey sandwich then take a nap. 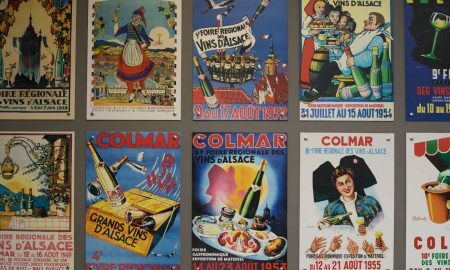 The wines of Domaine Marcel Deiss are among France’s most unique. 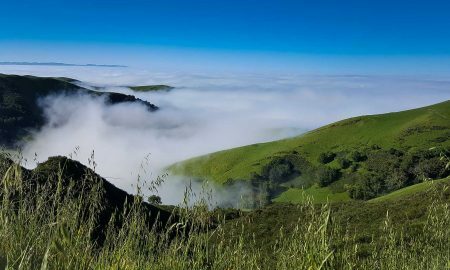 As a proponent of field blends — where the winemaker grows, harvests and vinifies all of the grapes from a certain vineyard together, variety be damned — the domaine’s wines put a premium on terroir. They can be challenging, if not downright perplexing. The Alsace Rouge, however, displays many of the attributes of a fine red Burgundy. This is the savory side of Pinot Noir. Forget jammy berries and dark foresty tones; this wine smells like sweet tobacco, leather and olive wood with just a dab of cherries. On the palate, it is just as fascinating, offering more and more olive fruit as it opens up. Expect superb acidity for washing down your turkey. Pinot Noir, Gamay and Cabernet Franc. To me, these are the three most essential Thanksgiving red wine grapes to look for, and while I don’t have a Beaujolais listed here this year (what more do you want from me, Gamay!) I couldn’t leave well enough alone without at least one Cabernet Franc pick. 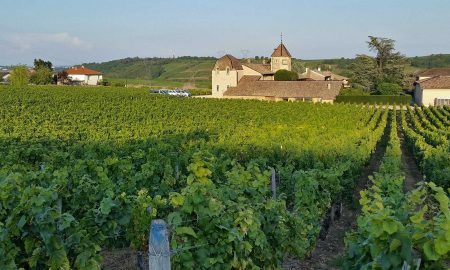 My tasting group convened recently to explore the wines of the Loire River Valley, and two Cabernet Franc stood out — Château Yvonne and Château de Brézé, both from the appellation of Saumur. For my tastes, Arnaud Lambert’s Château de Brézé from the Clos Mazurique was more controlled, dialed in and delicious. 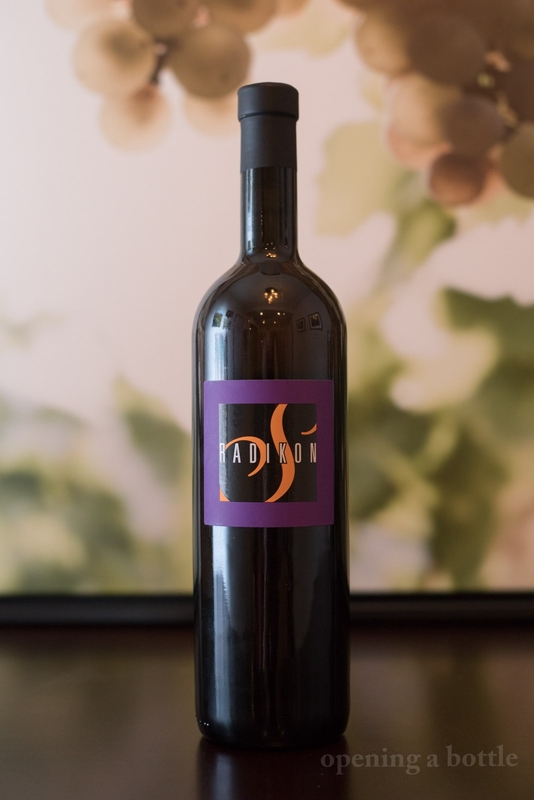 This wine is a ballerina, with graceful aromas suggesting kirsch, dark cherries, mint, dried herbs and bell pepper. The perfect accompaniment to a bit of turkey with a little cranberry chutney. Red Bordeaux and Thanksgiving may seem like a mismatch, but this lightly extracted, short-maceration blend of Cabernet Sauvignon and Merlot is right on cue. I opened it with “Friendsgiving” leftovers tonight and found it to be dangerously drinkable. Winemaker Michel Theron deftly reveals just enough of Cabernet Sauvignon’s stemmy, bell-pepper pyrazine note to show off the grape’s often-obscured feral character. The kirsch-like fruit tones are also very specific, conjuring visions of a thorny berry path that hurts-so-good to harvest. If only there were more Cabernet Sauvignon-blends with this kind of lightness. 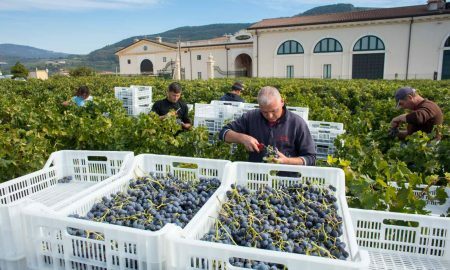 The Schioppettino grape is emerging as one of Italy’s craftiest red grapes. 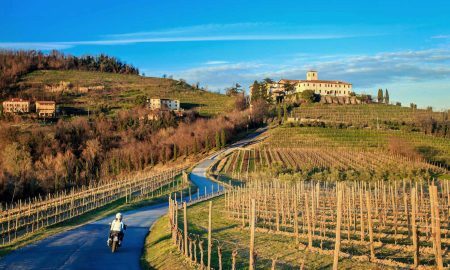 It was nearly wiped out by phylloxera one hundred years ago, yet it lurked in the shadows of the Friuli Colli Orientale region for decades, waiting for its day. 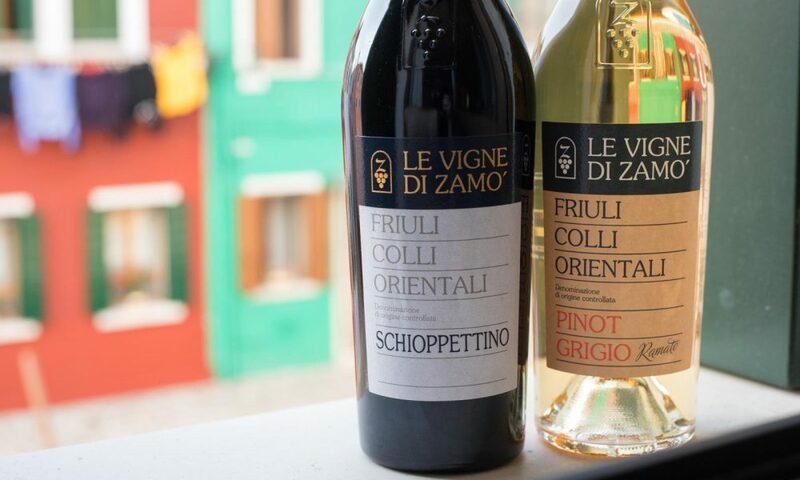 Le Vigne di Zamo’s version has heft, dimension, yet remarkable lightness. In other words, it is a wine of contradiction. I couldn’t stop comparing its aromas to Nebbiolo and its body, tannins and texture to Pinot Noir. We enjoyed it with some friends over an early “Friendsgiving” turkey dinner, and they commented on its “boldness.” They weren’t wrong, either. The intense flavors are equal parts dark cherry, forest berry, graphite, anise seed, peppercorn, black truffle and rose. The snappy acidity makes it a tremendous partner at the Thanksgiving table. 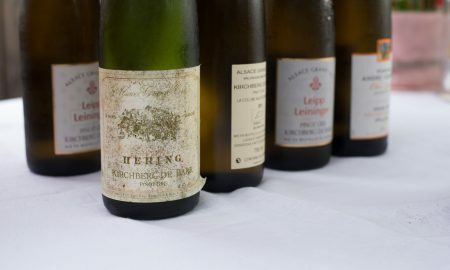 Note: The Ferrari, Pazos de Lusco and Domaine Weinbach wines were provided as samples by a variety of sources. Learn more about my editorial policy.